I fell in love with couch surfing and the cultural exchange it fosters while I was studying abroad, during which time I stayed with nine hosts and hosted twice myself. The 13-year-old site Couchsurfing.com counts over 10 million members, including hosts and travelers, in more than 200,000 cities worldwide. The network connects people willing to offer a spare bed, couch or floor to travelers, with no exchange of money. Since my own experience five years ago, I have been amazed by Couchsurfing.com’s growth and ability to create international friendships, especially between people whose governments have tense relations. I began to wonder what it must be like for an American citizen to couch surf in a country where the government currently has, or has had, a negative relationship with the United States. How accurately does the media portray the dangers of traveling to these places? Are beautiful and welcoming destinations being ignored due to events that transpired decades ago? With these questions in mind, I spoke with four people about the time they spent couch surfing in Iran, Cuba, Vietnam and Russia, and found that their experiences ranged from shocking to enlightening. Driven by curiosity and a desire to see Iran without any media bias, Peter Santenello, an entrepreneur from California, spent nearly a month in Iran in 2015. Peter decided to couch surf in hopes of connecting with Iranians on a more personal level, and he was not disappointed. Although he had never couch surfed before, he plugged into the community with ease. During his time in Iran, he stayed 16 nights with four different couch-surfing hosts. Peter spent a majority of his time with his hosts, whom he described as warm and hospitable. He has stayed in contact with one of his hosts; although it’s been months since Peter left Iran, he and his former host continue to talk several times per week. The Iran described by Peter and the Iran depicted by the American media could not be more different. He found that the Iranians he met were less religious and disagreed with their government much more than he expected, although this could be due, in part, to the liberal mindset associated with many couch surfers. According to Peter, the Iranians he encountered were very pro-American. Although he initially introduced himself as an Italian—which garnered him a very warm welcome—he found that his new Iranian friends became doubly excited when he revealed that he was actually an American. He also pointed out that many of the people he met had never encountered an American before and were very curious about the United States, much like he had been about Iran. The lucky owner of an Italian passport, Peter was able to bypass a law that requires Americans to be constantly supervised by a government-issued minder; these minders are required to observe, accompany and sometimes even record the Americans they are assigned to. While Couchsurfing.com is very popular in Iran, this law all but prevents Americans who don’t carry dual citizenship from couch surfing there. Having had an exceptionally positive and eye-opening experience, Peter highly recommends that Americans interested in traveling to Iran take the plunge in spite of the pesky supervisor. Jesse W., a travel enthusiast from Maine, decided to travel to Cuba for several reasons. He relished the opportunity to practice Spanish while enjoying the tropical climate. He was also attracted by the residual “forbidden-fruit taste” associated with a country that had been off-limits to U.S. visitors until early 2015. He connected with Lis, his host in Havana, about a month before his trip, but I was surprised to hear that traditional couch surfing is illegal in Cuba. According to Jesse, foreigners are required to find government-registered lodgings at hotels or casas particulares, privately owned homes. Individual rooms, or even the entire property, can be rented to travelers. Casa owners are required to ask for passports when their guests arrive, enter the information in a registration booklet, have the guest sign next to the entry, and provide the information to the immigration office within 24 hours. Couchsurfing.com helped Jesse to connect with Lis, a casa owner whom he paid to accommodate him. While they weren’t able to spend much time together due to Lis’s busy schedule, Jesse acknowledged that she was very helpful. Lis answered questions Jesse had about the country, helped him to organize his travel plans, provided tips to avoid being scammed and even offered to help him find another place to stay in case he decided not to stay with her. It is still illegal for Americans to travel to Cuba for purely touristic purposes. However, there are 12 categories of authorized travel for which Americans can travel to Cuba legally, including humanitarian efforts and “people-to-people travel.” According to the U.S. Department of Treasury, the latter requires the American traveler to “maintain a full-time schedule of educational exchange activities intended to enhance contact with the Cuban people, support civil society in Cuba, or promote the Cuban people’s independence from Cuban authorities, and that will result in meaningful interaction between the traveler and individuals in Cuba.” Public events and exhibitions, religious activities, and educational purposes are also considered legal reasons for traveling to Cuba. 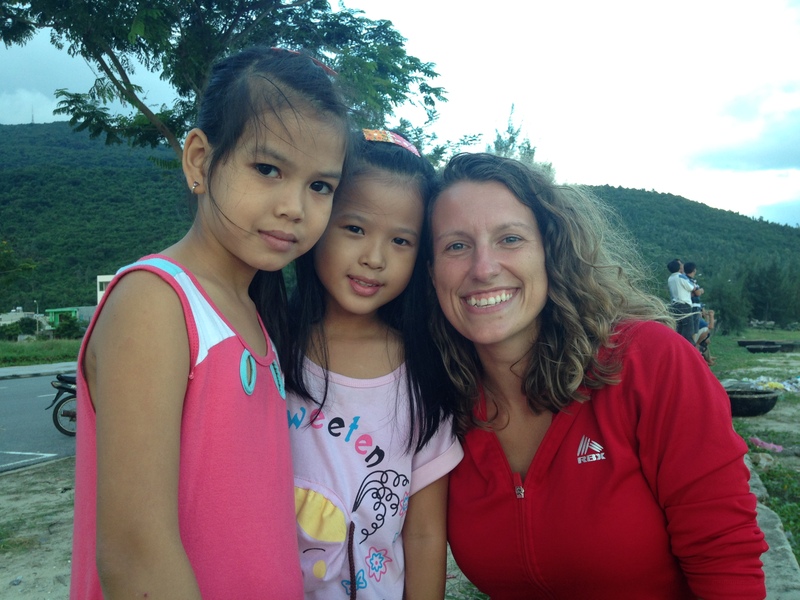 Katie Liesener (far right) enjoyed connecting with locals during her time in Vietnam. Massachusetts resident Katie Liesener decided to travel to Vietnam due to its reputation for being beautiful and affordable—the American dollar is very strong against the Vietnamese dong. 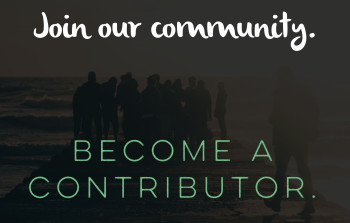 Having couch surfed several years prior, Katie determined that it would be the best way to connect with the local communities, especially because she knew that finding English speakers could prove difficult. Although she had hoped to couch surf during more of her trip, she was only able to stay with a couch-surfing host for two nights. However, the time she spent with her host, a young woman named Mit from the Quảng Nam Province of Vietnam, was one of the highlights. When Katie called to tell Mit that she would be late, having missed the bus, her host called the bus company, convinced a driver to retrieve Katie from the station and negotiated a reasonable fare price for her. But the conversation didn’t end there—she also convinced him to drop Katie off right in front of her home. Once Katie had arrived, Mit immediately took her into town, where she gave her a food tour, insisted on paying for everything and taught her to drive a scooter. These experiences, among others provided by Mit, proved invaluable later in Katie’s trip; for example, she had the confidence to rent a scooter and brave the busy Vietnamese traffic. Not every aspect of Katie’s trip was positive—she found the lack of English speakers and general culture shock difficult in the beginning. 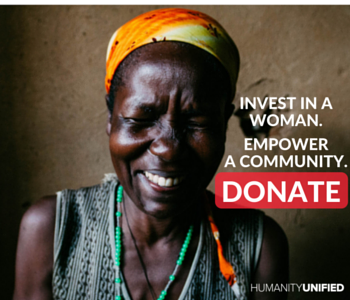 However, her overall experience was positive, thanks in large part to Mit, whom she affectionately referred to as “bubbly,” “spunky” and “aggressively hospitable.” I found myself wondering what inspired Mit to show someone she had never met before so much kindness. The answer was simpler than one might think: Mit told Katie that, during her own travels, she was amazed by her couch-surfing hosts’ willingness to go above and beyond to help her, and wanted to give the warmth and generosity that had been shown to her. Toward the end of her trip, Katie decided to mail some of her travel gear, which Mit had been very impressed with, to her former host to thank her for her hospitality. Her fascination with Russian literature, politics and history, coupled with an increasingly tumultuous geopolitical climate and concerns that she might miss her chance, prompted California resident Katherine Gulley to see Russia for herself in 2012. She needed to travel on a budget, and the thought of having a “built-in friend” while growing accustomed to a culture that was completely new to her was appealing, so Katherine decided to couch surf. She stayed with couch-surfing hosts in different cities throughout Russia for 30 days—the entirety of her trip. Her first Russian host lived in a small city called Blagoveshchensk, just across the Amur River from Heihe, China. No one in Blagoveshchensk had seen an American before, so everyone in town knew she was coming. About 40 people joined Katherine and her host, Anastasia, for a meal that day. Anastasia had been studying English for four years, but had never had a chance to practice with a native speaker. Katherine provided that opportunity, and the two have remained friends; they still send packages and cards to one another. 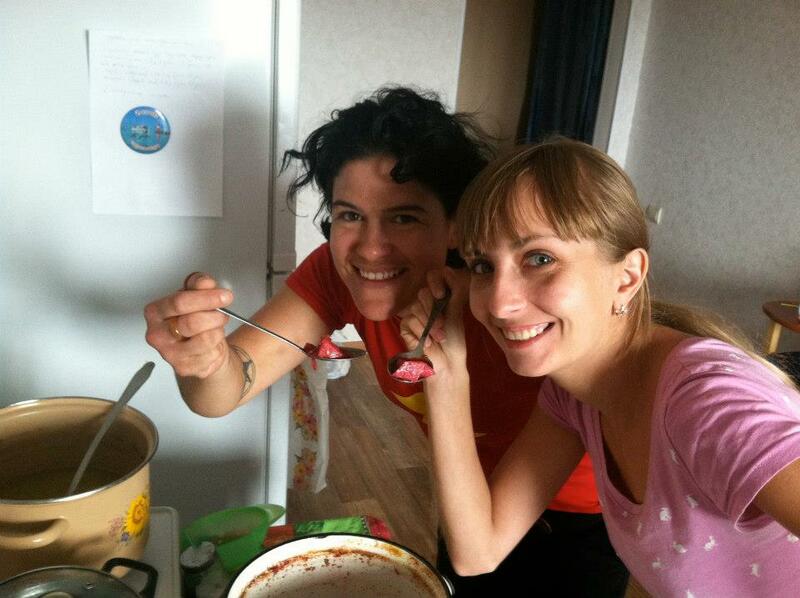 Katherine Gulley (left) sampled Anastasia’s homemade borscht in Russia. She found her couch-surfing hosts to be comforting at times, especially when staying in isolated areas that might have been scary had she been alone. She also found that many of her hosts accompanied her onto her train while sending her off, taking the time to talk to other passengers on her behalf. In return, Katherine’s presence allowed many people, like her first host, to practice their English. She also had conversations with several of her hosts about sensitive issues that may not have been safe for them to discuss with other Russians due to the political climate and potential danger involved in speaking one’s mind. Sarah E. Dollard is pursuing an M.A. in publishing and writing at Emerson College. When she isn’t reading, writing or editing, she can be found researching potential travel destinations, playing video games or spending time with her girlfriend and their two beautiful cats. Follow her @SarahEDollard. 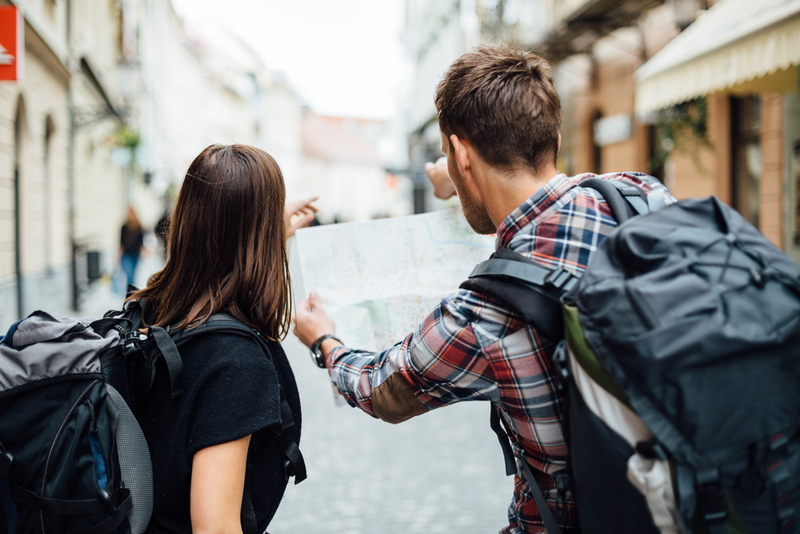 Photo of backpackers by Shutterstock. Photo of Katie with children by Katie Liesener. Photo of Katherine and Anastasia by Katherine Gulley. Interesting point! I’ll definitely check that out. Also, Jesse and another couch surfer I spoke with both used Couchsurfing.com as a way of finding casas particulares, as they found it difficult to find them on other websites. The reference system can help ensure that the place is nice/legitimate. I highly disagree with Jared. I stayed in casa particulares during my entire stay in Cuba. All six of them were excellent experiences!